Are you ready for your first adventure of the new year? The Dominican Republic’s Los Haitises National Park should check all the right boxes. It’s in the Caribbean—so you can escape the cold winter. It limits the number of visitors—so the park will never feel overcrowded. 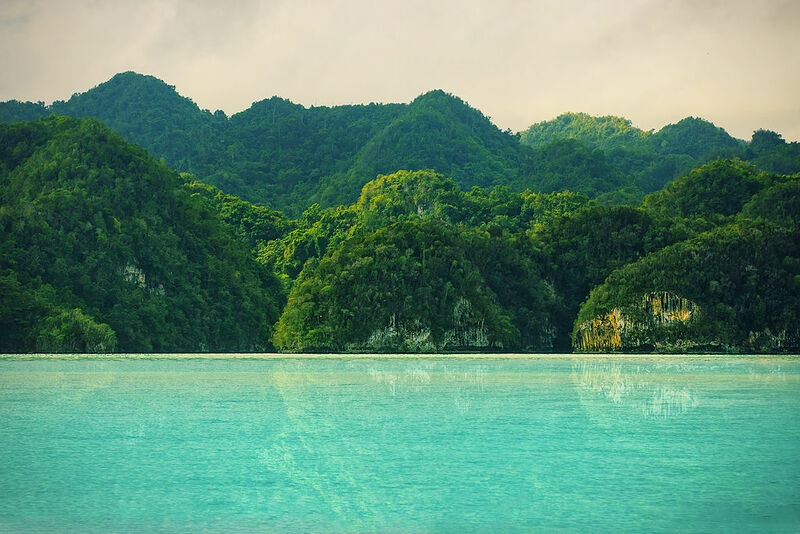 It’s full of conical hills, deep caverns, and turquoise water—so it’s gorgeous. Plus you can do everything from horseback riding through caves to kayaking around mangroves to sunning yourself on perfect white-sand beaches. Let’s go! Los Haitises National Park sits on the southern end of the Samaná Peninsula on the remote northeast coast of the Dominican Republic. The area was once home to the Taíno people; petroglyphs and pictograms still line cave walls. The land was a forest reserve before being declared a national park in 1976. Twenty years later, it was expanded to cover 80 square miles. It’s now one of the most visited national parks in the country. It’s easy to see why. The park sits atop a limestone karst plateau. Densely clustered conical hills, some as high as 1,000 feet, stretch for 50 miles along the coast. A subtropical humid forest grows above them. Ceiba trees, bamboo, ferns, and even orchids thrive in one of the rainiest spots on the island of Hispaniola. Caverns and sinkholes sit in between the hills. Both red and white mangroves are mangled along the coast. More than 100 species of birds call the park home. While, right now, humpback whales can be spotted as they migrate off the coast. So where to start? First, you can take in the breathtaking scenery, as you approach the park in a speedboat from Samaná. With few roads, access to the park is otherwise extremely limited. Next, you can start to explore the hills. Cayo de los Pájaros (Bird Key). El Naranjo Arriba (the Orange top). Boca del Infierno (Mouth of Hell). Thousands of huge magnificent frigatebirds and diving brown pelicans are circling overhead. Then move onto—or rather into—the caves. Fun Fun (pronunciation: foon foon) is the largest cave in the Caribbean. After lowering yourself through a tiny hole, you’ll repel 50 feet into the darkness. It then takes an hour to walk through the cave—wading through water, ducking around stalactites and stalagmites, and holding onto a single rope—to reach the exit. After being in complete blackness, save your flashlight, for so long, you’ll be relieved to see sunlight at the mouth of the cave. 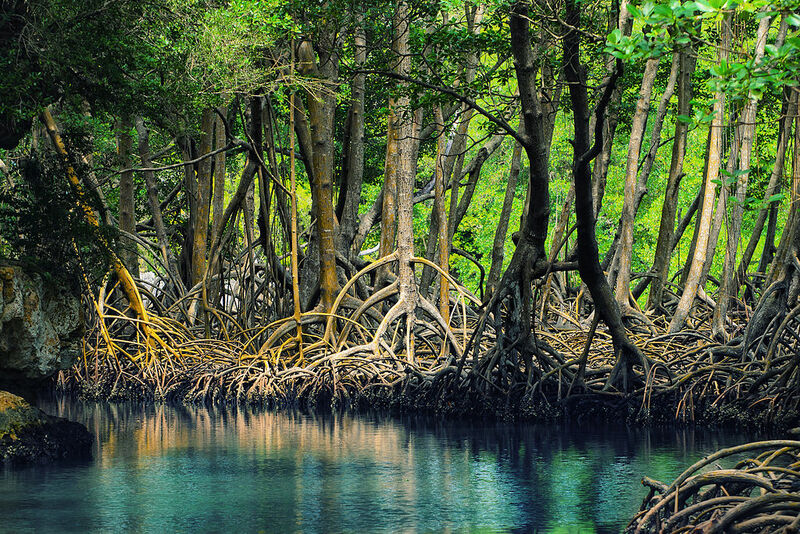 From there, you can kayak along the tightly wound mangroves. Keep an eye out for endemic Hispaniola hutias (rodents) running along the exposed roots. Eventually, you’ll reach an empty beach. It’s your relaxing reward for taking risks all day—and the perfect place to dream about the rest of 2018.